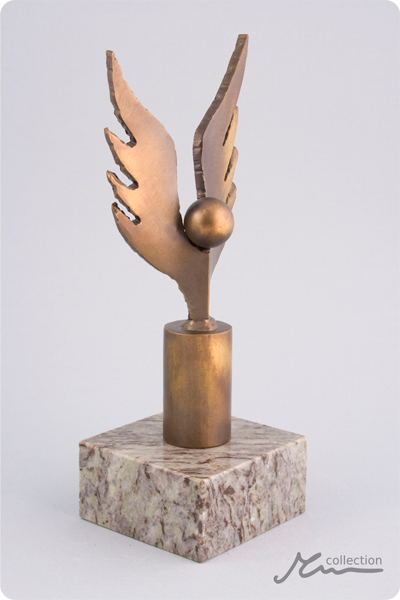 The Phoenix Statuette: a stylized metal rendering of the mythical bird, a symbol of the Sun and of the cycle of rebirth. 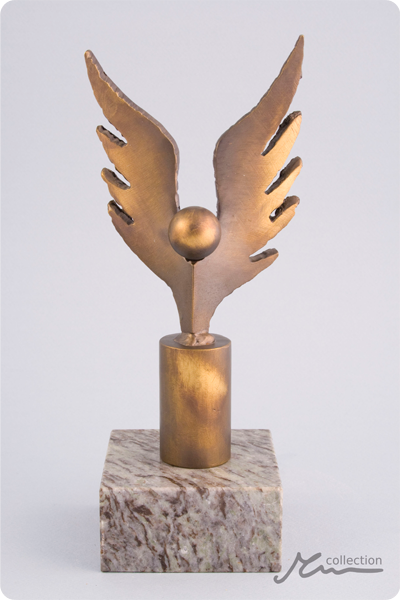 A versatile sculpture which can be used as a gift or trophy for people of culture as well as for the members of local establishment, for achievements within the community and otherwise. This product is handmade by one of our artists. Any of the product's features could be altered or changed completely. We can make any size, from very small to very large. 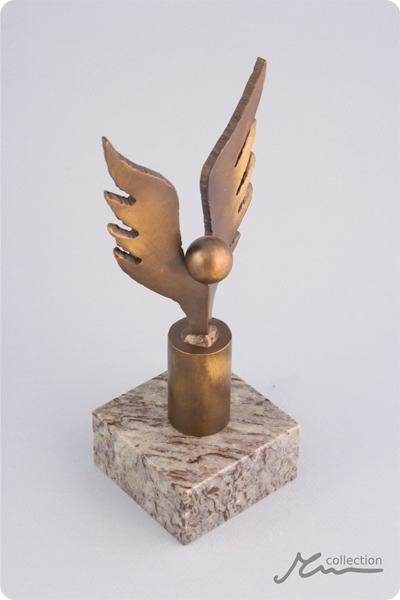 A typical size for a statuette of this type is about 12" to 14" in height. If you cannot find a shape or a type of metal product that you are looking for, we will be happy to create a design concept for you based on photographs, description or a simple drawing.